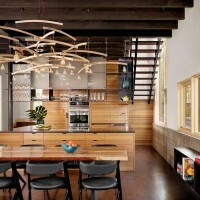 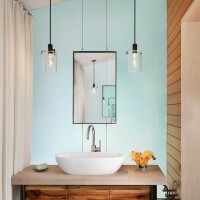 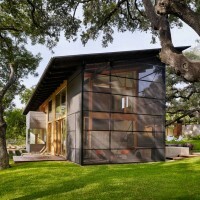 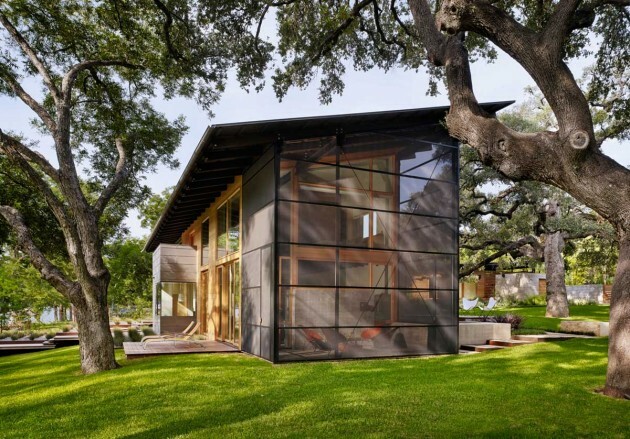 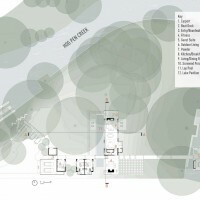 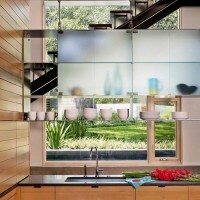 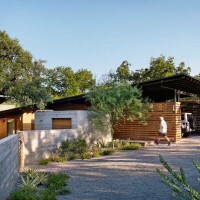 Architecture firm Lake|Flato have designed the Hog Pen Creek Residence in Austin, Texas. 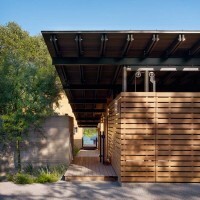 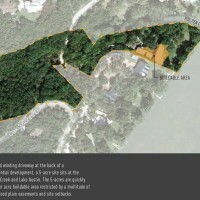 The Hog Pen Creek Residence is situated on the shady, tree-covered confluence of Hog Pen Creek and Lake Austin. 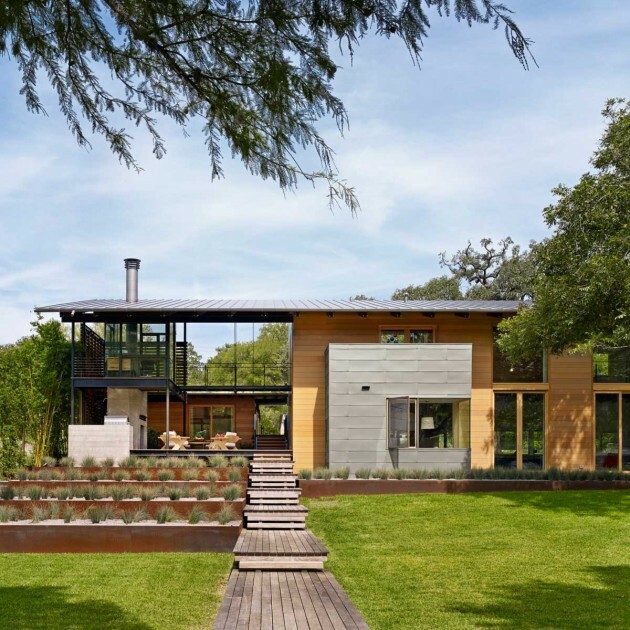 Embracing its informal, rural roots, the owners envisioned a place that engaged with the outdoors while providing accommodating spaces for their off-season training for ironman triathlons. 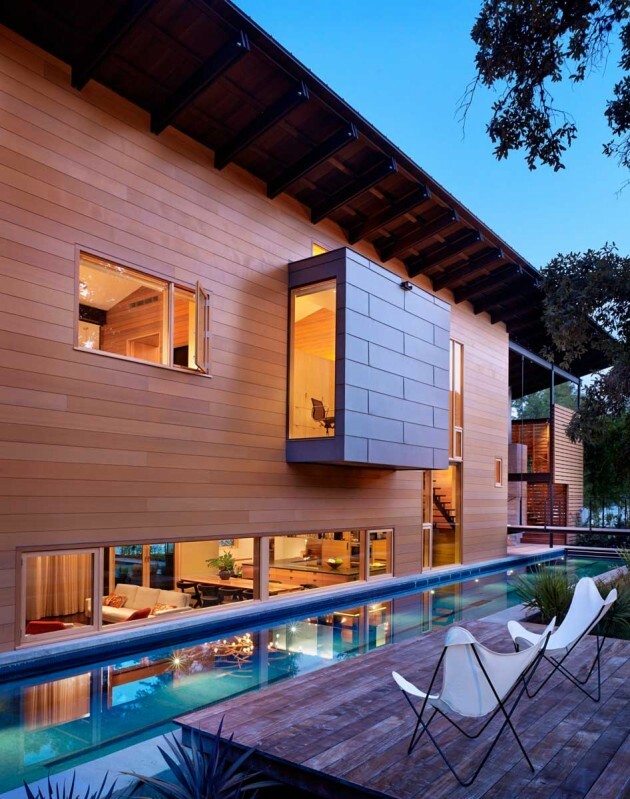 Much of the building’s design was determined by three mature oak trees, informing the building’s orientation and L-shaped footprint. 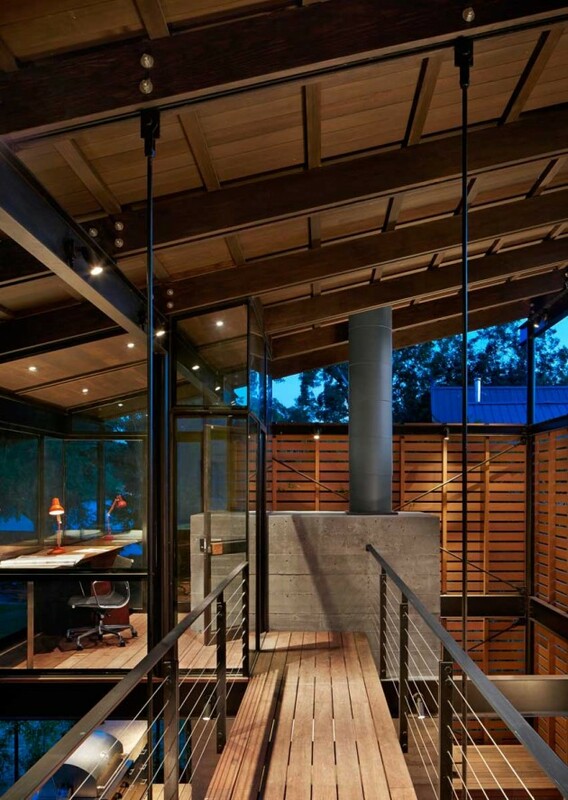 The owners liked the idea of accessing much of the house from outdoor covered porches and walkways. 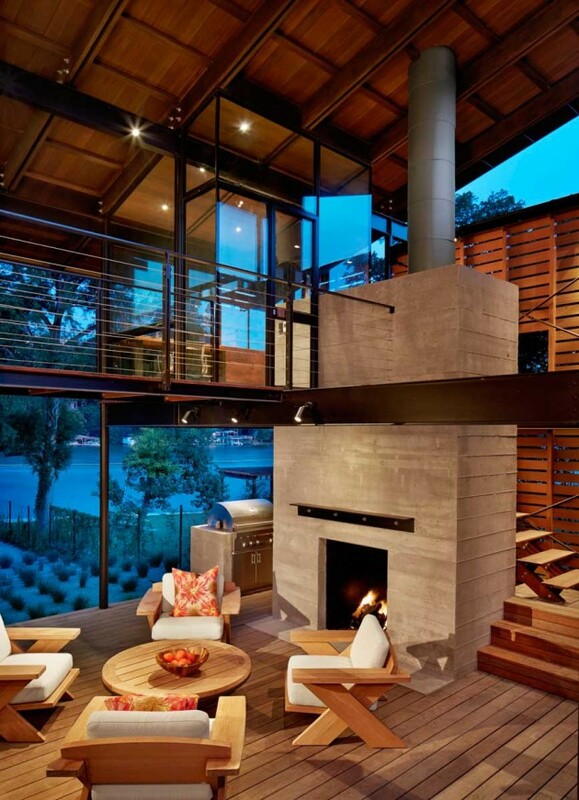 The desire to have the main living area closely connected with the water, while respecting the flood plain and oaks, suggested the design’s stair-stepping boardwalk spine. 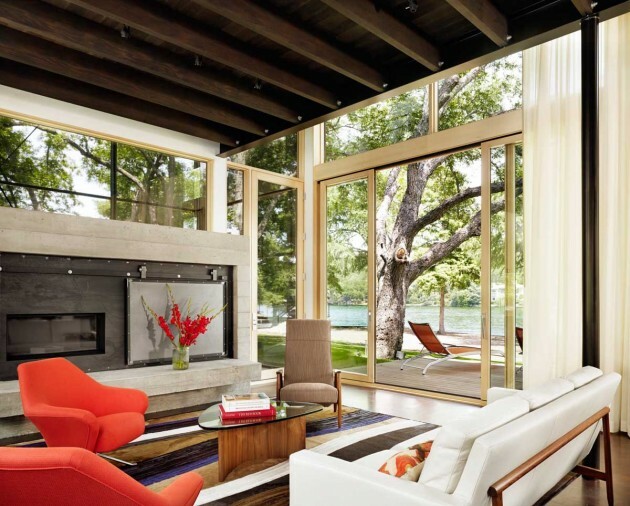 The main living area, a two-story single width volume with a master bedroom loft and porches on either end, takes advantage of the cool prevailing breezes and shade from the adjacent oak trees. 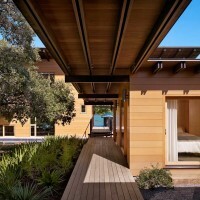 A movable, barn-like door serves as a bedroom wall, providing privacy when needed from the living room below. 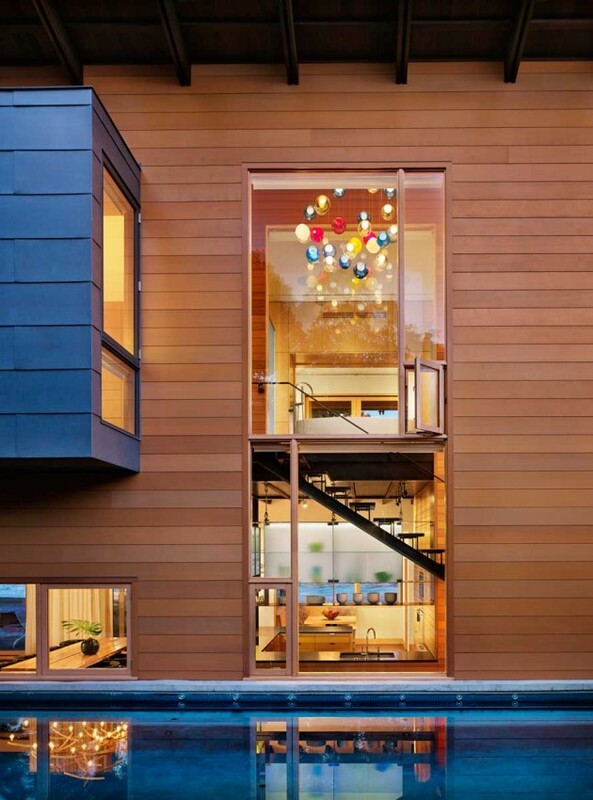 These flexible spaces allow the house to be both intimate and social, effortlessly accommodating guests or individuals alike.